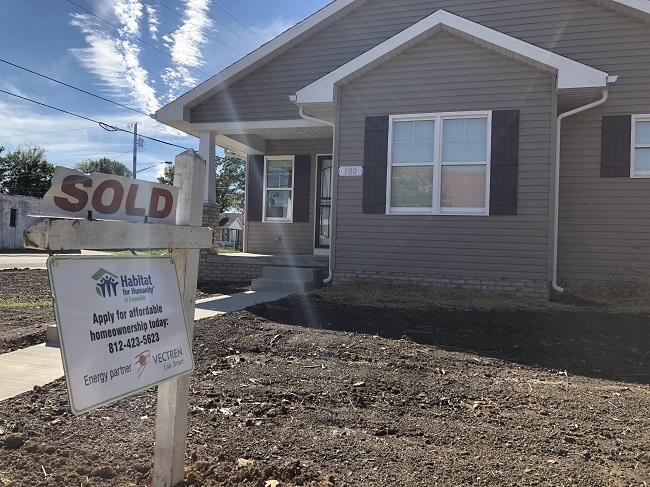 Habitat for Humanity of Evansville believes all hard-working individuals and families should have access to the benefits and stability of homeownership, and seeks to fulfill that vision by providing opportunities for those who qualify. The labor of volunteers and future homeowner families, efficient building methods, modest house sizes, generous house sponsors and no-profit loans make it affordable for low-income families to purchase Habitat houses. Please visit our Homeownership Program page to learn more details about the application process and eligibility. Habitat is not accepting applications at this time. Applications will reopen on Monday, April 22, 2019. Habitat for Humanity of Evansville provides equal housing opportunities for all, and ensures fair and equal access to its programs and services regardless of race, color, religion, gender, national origin, familial status, disability, marital status, ancestry, sexual orientation, source of income, or other characteristics protected by law.